De Blasio, buoyed by the city’s most liberal residents for his opposition to the NYPD’s stop-and-frisk practices and from a family-centric ad campaign, has 29 percent support among likely Democratic voters, according to the poll conducted by Penn Schoen Berland. Thompson has 24 percent and Quinn is third with 17 percent. Doing one thing and saying the other. Leading Manhattan council candidate for Christine Quinn’s seat, Yetta Kurland, is calling shenanigans on Quinn’s henchman Corey Johnson’s hypocrisy on the campaign trail hoping to increase accountability of her opponent’s outright bogus claims. 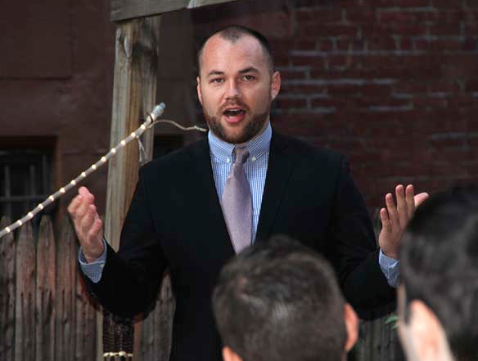 Kurland, a civil rights attorney called on Corey Johnson, a real estate executive “to put your money where your mouth is” regarding his repeated demands that Kurland sign a pledge against Independent Expenditures. Johnson, who for months criticized campaign spending by outside groups, has been silent now that his campaign is receiving support from the independent expenditure known as Empire State PAC. On Corey’s campaign website you’ll notice an entire section glorifying his role in creating affordable housing, but this could not be further from the truth. In fact Corey worked for a billion dollar real estate company, GFI Capital, which has made a habit of evicting poor and middle class workers and replacing SRO’s with luxury hotels and condos. His former employer has even been sued by the Department Of Justice Civil Rights Division for discrimination. “New Yorkers deserve honesty” said Kurland. “My opponent’s work for a billion-dollar Wall Street real estate developer is not the issue, so much as his sneaky attempt to hide it. And now we learn that after he spent months demanding that I live up to his example and disavow independent expenditures, Corey Johnson is benefiting from the money of those outside groups. The hypocrisy and dishonesty has got to stop,” she said. Is Quinn Backing A Hypocrite For Her Council Seat? Alleged Quinn-backed candidate’s record of deception and hypocrisy revealed. Rumor has it Corey Johnson is Quinn’s pick for her Council seat, and while her endorsement could be in the making, that hasn’t stopped a bevy of Quinn’s allies circling the wagons around Johnson’s campaign for her council seat. But that’s not the main issue. Eyebrows are being raised as what seems to have been overlooked in the media is Corey Johnson’s record of deception, hypocrisy, and outright lies. Luckily, the community cannot be bought off with cheap campaign rhetoric. So here’s the scoop. The word hypocrite applies to a person who pretends to be something he is not. 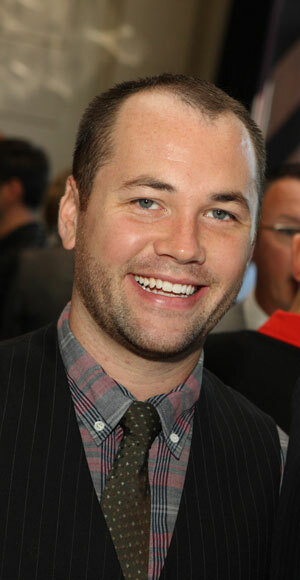 Corey Johnson seems to fit the bill. On Corey’s campaign website you’ll notice an entire section glorifying his role in creating affordable housing, but this could not be further from the truth. In fact Corey worked for a billion dollar real estate company, GFI Capital, which has made a habit of evicting poor and middle class workers and replacing SRO’s with luxury hotels and condos. His former employer has even been sued by the Department Of Justice Civil Rights Division for discrimination. The case inevitably led to a 3.5 million dollar settlement by the company for mortgage bias. And yet, somehow after 3 years with GFI, with the title Director of Government Affairs (by the way, not a registered lobbyist), Corey Johnson still tries to pass himself off as a champion of affordable housing. Parties affected in this case have been ongoing since 2005. In the meantime Quinn, who has been voraciously seeking the Mayoralty, could be secretly waiting to endorse him (again, Corey’s existing endorsements aren’t the only clue), but before that day comes, critical questions remain unanswered regarding the validity of Corey’s claims on his campaign platform. After all, you can’t be a ‘champion of affordable housing’ when you worked for a company that evicts poor and middle class tenants from their homes and discriminates people based on color. Christine Quinn, you’ll never be able to say you didn’t know. Campaigning on the city dime? You bet. 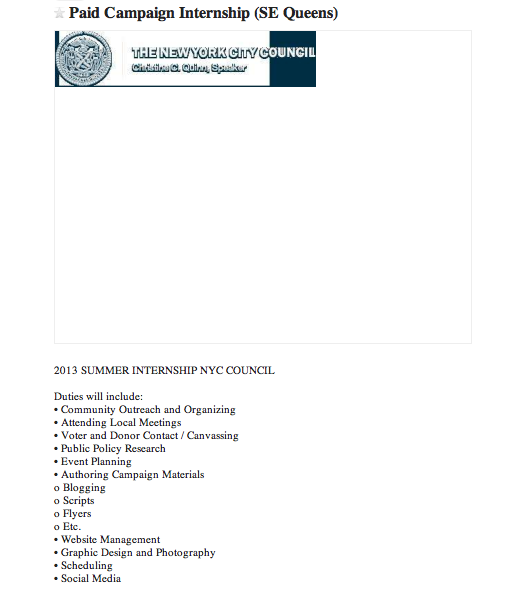 According to her Craigslist Post, Christine Quinn is offering paid internships through the City Council for doing her campaign work. That’s a serious no-no leading us to wonder what other city resources are being used in her quest for power? Council Speaker Christine Quinn deserves to be instantly impeached from her present post, in addition to lifetime banishment from ever holding public office again. Her false, fake and failed record is one of criminal misconduct—the latest (but not the most egregious), involving First Amendment issues of her truth telling opponents. Add that outrageous betrayal of trust to her 2009 self-appointed pay raise (and the entire city council) that defied a majority opposition to any pay raise voiced at a public hearing , followed by disobeying public referendum laws that recognized term limits that she abrogated (in favor of arranging an unlawful third term for Michael Bloomberg to serve, that automatically guaranteed her own job security), plus a final and detrimental insult to the working poor that blocked our rightful vote on sick pay coverage, and collectively, it would make total sense to impeach and prosecute such unethical, improper and unfair conduct–that is unbecoming to anyone purporting to serve their constituency. But that would mean a thorough examination of the dishonest, dishonorable, disloyal and unethical record of Quinn’s personal puppetmaster, Dictator/Emperor/Monarch Bloomberg. 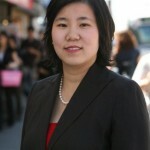 Until the laws stop selectively enforcing policy against flagrant abusers of trust, ethics, unfair civic and labor practices, and integrity from within city and state government, there will certainly be a rampant element of corruption, low morale that dishonors a tainted leadership façade, and societal decay from the top downward. No human life form with a soul and conscience could possibly vote for a rapacious and predatory imposter like Christine Quinn. But the question still begs: Why hasn’t she taken a leave of absence from her position as city council speaker while running for the mayoralty? Likewise, Bill De Blasio who has remained public advocate but refuses to step down, in spite of obvious conflict of interest issues. When I ran for a city council seat in the 32nd councilmanic district in 2003, I was required to take a mandatory leave of absence from my employ. 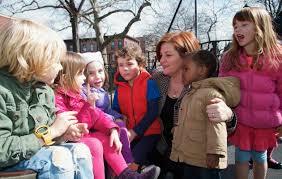 Do the rules not apply to Ms. Quinn and Mr. De Blasio? Are they exalted? If not, then when will democracy, freedom of choice, ethics and human decency be fully restored to constituents like me? No matter how many ethics commissions there may be, no matter how much power that is jointly shared and acquired by the attorney general and prosecutors, corruption will continue to flourish unless the system is uprooted from its breeding point. Demand impeachment for QUINN and BLOOMBERG forthwith! 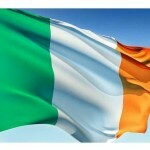 Irish eyes are not smiling on Christine Quinn. 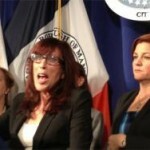 Whether you love or hate the Long Island native turned Manhattan-elite, Ms. Quinn, we don’t really know who she is, but if you want to know her, and understand her agenda, we must take a look at whom insiders in the pro-life movement claim Christine Quinn’s spiritual godmother is: none other than the notorious Merle Hoffman. Scratch the surface of Quinn the lawmaker, and her campaign announcement reveals more about her character than she may have intended. She chose to shoot the video in front of a church where she claimed her parents were married. She also told the public in one of her first sentences that her mother was an employee of Catholic charities. That’s all fine rhetoric, but in what turned out to be a failed attempt at trying to connect with the Catholic vote in NYC, she bragged about her clinic access program which was the brainchild of Christine Quinn’s mentor and spiritual consultant Merle Hoffman. As a de facto abortion czar of NYC, Hoffman’s radical philosophy has moved Quinn in such a way that she has clearly influenced her public policies. Hoffman pictured here with Speaker Quinn. Hoffman recently opened up a clinic at Jamaica hospital where she promised 10,000 abortions a year, provided in part by what she calls the “down-south-surge” or the influx of patients she says will come from states with more limits on abortion laws. Her organization has been stirring up trouble even before the landmark Roe V. Wade. Most recently, when Catholic Nuns and pro-life pastors (most of whom are Irish, Hispanic, and African-American) decided to hold peaceful prayer vigils outside the Jamaica facility, Hoffman reached out to her spiritual protégé Christine Quinn and they both decided it would be a good opportunity to make headlines. While Hoffman is not known to pray, it is rumored she is often praying for violence against her clinics because it would be a feather in her cap to be able to have an Irish-American nun arrested. But when there was no violence, they decided to fabricate it in order to seek attention. Merle Hoffman unjustly dubbed them, “The American Taliban,” a reference that even Quinn later rebuked. In reality it was a small group of Irish-American nuns and African-American and Hispanic pastors who would hold innocent prayer vigils outside of Choices. The news, however, left that fact out. Hoffman made millions in the abortion industry and it has come with a fair share of bashing from both sides, including feminists whom have often criticized her for using the pro-choice movement to become one of the richest individuals in New York. But it’s her influence she holds over Quinn that is quite concerning. Hoffman was one of the main spiritual advisors that pushed Quinn into supporting a law that was intended to destroy pregnancy centers (she said it was a milestone of her career). These centers offer alternatives to abortion, but Hoffman made her millions off the fees associated with abortions (they aren’t free). 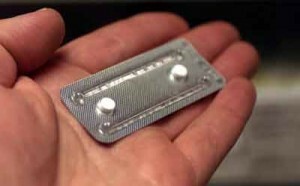 The Pregnancy Centers proved to be quite the financial risk to her abortion mill. Quinn and Hoffman also proposed funding “escorts” to accompany women to abortion centers to protect them from the elderly clergy and spiritually motivated peaceful protestors with taxpayer money in what was dubbed the Clinic Protection Project. Furthering her radical beliefs, she created uproar in pro-choice and pro-rights communities when she said that abortions are murder. Her beliefs are so twisted and perverse that she actually claimed that abortion is an act of love for one’s family and for one’s child. Do we really want a mayor who has taken spiritual and moral advice from Merle Hoffman? Every other candidate, Republican and Democrat, support Roe v. Wade and a woman’s right to choose, however no other candidate is known to have such a hostile adversity to motherhood and to babies and no other candidate has ever conspired with Hoffman to try to destroy freedom of religious speech and clinics that offer alternatives to abortion. 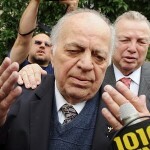 It is a shame that the Italian-American Catholics such as Dominick Recchia will collaborate with Quinn and not hold her accountable for what many people call, at best, unethical conduct, and at worst, demoniacal conduct — just to gain some political capital. 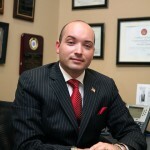 Recchia does not even realize that his campaign for U.S Congress has been jeopardized because of his failure to stand up to Quinn but rather in a stunning reversal acting as a team in collaboration as she attacks the values of his conservative Irish-American and Italian-American constituents. The next time Christine Quinn is at a St. Patrick’s Day parade or is doing a fake press conference purposefully in front of a church, let’s not forget as Catholic voters that she is the most anti-life and worst Christian persecutors the city has ever seen. It is so bad that Devout Catholics and Prominent Irish Americans have an ‘anyone but Quinn mentality’. Will the critical Irish-American communities in the primary including Bay Ridge, Rockaway, Woodlawn, and Glendale express at the polls that Christine Quinn by the nature of her attacks on the pregnancy centers is probably the most anti-Irish Catholic candidate in NYC history? Saint Patrick chased the snakes out of Ireland lets hope the religious community votes her out of City Hall forever. How can anyone vote for that nut? Where have you gone Joe DiMaggio? 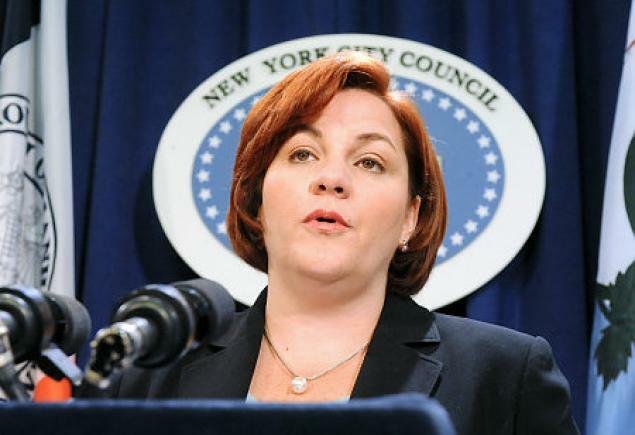 The Yankee Clipper must be rolling in his grave as Randy Levine bankrolls Christine Quinn’s bid for Mayor. Baseball is the last bastion of purity, a place where we take our children and now the President of the Yankees is supporting Christine Quinn’s agenda? Well folks, it certainly looks like it. Last month, Levine dumped $4,950 into Quinn’s war chest and there’s no way to quantify how much bundling for Quinn he’s really responsible for. The Yanks have always stood up for what’s good and right in the world throughout their history. The Babe loved children and Christie Quinn is giving them Morning-after pills? Talk about striking out, I bet those conservative fans that travel from Westchester and Connecticut will become outraged to hear their money is vicariously supporting such a person. If Billy Martin was around and he heard Randy Levine was supporting Quinn you can bet he would be kicking dirt. But Levine is no stranger to playing politics while heading the Yanks ball club. In 2008, he served as a bundler for presidential candidate John McCain and in September 2012, he donated $17,500 to the Republican National Committee. He’s also made multiple contributions to Mitt Romney including a $2500 donation made last September as well as donations to other political candidates. Oddly enough the occupation field alternates between The New York Yankees and Akin Gimp Strauss Flowerfield, the NYC based law firm where Levine is partner. But this time fans won’t be cheering when they hear that their beloved team is being used as a pawn in an elaborate scheme to support Christine Quinn. In baseball you’re supposed to learn about teamwork, but Quinn is a dictator. In baseball you get kicked out for cheating, but now the Yankees are promoting someone who has never come clean with her slush fund scandal. In baseball you’re supposed to play fair, but she puts the hammer on City Council members that don’t follow her agenda. In baseball you have to stand up at the plate, but Quinn has never stood up for Queens. In baseball you don’t get to change the rules if you don’t like them, but Quinn overturned term limits. So why would the President of the New York Yankees Ball Club bankroll such a person? When she’s going after free speech and pregnancy centers, can you imagine Mickey Mantle or Lou Gehrig supporting such anti-American behavior or Donny Baseball not being outraged by such conduct? Levine made a very poor choice and we’re hoping the Steinbrenner family reconsiders. And what about The Yankee Clipper? 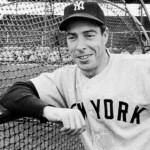 Joe DiMaggio – who famously thanked the good Lord for making him a Yankee – and loved Marilyn Monroe so much he would send a dozen roses to her grave until the day he died? 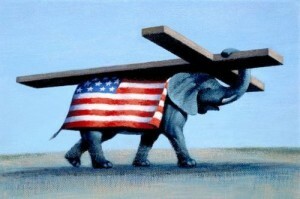 Joe would be outraged to hear his beloved Yankees involved in supporting such a nasty power-hungry Christian-basher. Joe, there’s nothing fun about the owner of your team playing a dangerous game of supporting Quinn’s immoral and corrupt public policies. We need a hit Joe, we need a home run for baseball, and Christine Quinn is not it. Fans beware. The congregation at New Jerusalem Baptist Church should be outraged that Reverend Rice endorsed Christine Quinn. Questions have been raised. Did the Reverend do his homework on Christine Quinn’s pro-choice agenda or was he too blinded by the benjamins? With a steady stream of contributions from pro-choice groups in Quinn’s war chest, you would think Reverend Rice would have second thoughts about anointing her with an endorsement due to his spiritual obligation to the congregation where the people entrust him as a representative and magistrate of Christ’s teachings. In ancient Roman times this would have been like Diocletian, the Great Christian persecutor, endorsed by an underground Christian group. 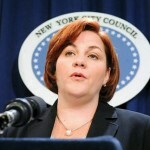 By making Bill 371 a law that unfairly targets pregnancy centers part of her centerpiece during her tenure in City Council, Christine Quinn has established herself as one of the most aggressive anti-Christian anti-freedom of speech public officials in NYC. When Quinn was busy pushing the bill down the throats of Councilmembers, Alveda King (MLK’s niece) came to NYC for the purpose of protesting Christine Quinn’s unfair targeting of Chris Slattery’s pregnancy center. Would Martin Luther King allow such an anti-Christian demagogue to stand at the altar and then endorse him? No you say? Then why would Reverend Rice? Whether you want to believe it or not, after Quinn’s crusade against religious free speech and pro-life sidewalk counselors and pregnancy centers – love her or hate her – you can argue that she’s the Diocletian of our times. Because we want to believe there is good in the world maybe the Reverend didn’t do his homework on Quinn (neither did the media, they missed the fact that Reverend Rice is a Bloomberg appointee for the Housing and Economic Development Task Force) maybe he should speak to his congregation and ask if Quinn is worthy of their endorsement or will he rest easy knowing the congregation will have blind faith in their pastor’s political pronouncements? Questions remain like why did he turn his back on Bill Thompson, the only other African-American in the race? Although we can’t fault him because in politics you’re supposed to be color blind, letting the Daily News make a page 2 article of Quinn reading at the altar after only weeks ago when she held a press conference with abortion provider, entrepreneur and anti-life radical Merle Hoffman is an act of heresy which has brought shame on the Reverend and his ministry. Although each of the candidates are in many ways more progressive than the congregants of the church, not one of them has the history of Christian persecution and the targeting of Pregnancy Centers that Christine Quinn has. Is There a ‘Judas Conspiracy’ in New York City? Rumor has it a few high-ranking GOP operatives have turned their backs on the pro-life movement by helping Democratic Candidate Christine Quinn’s bid for Mayor. Inside religious political circles, Quinn is considered the strongest adversary of religious free speech in New York City – infamously dubbed “public enemy number one to the faithful,” according to a source familiar with the situation. A small number of these legacy Republicans are alleged to be aiding and abating her campaign for a quick buck and a political capital windfall should she win the Mayoral race. Imagine this scenario: young men receive high level positions in government based on the hard work of their fathers, many of whom are considered “heroic, honorable, pro-life advocates that have dedicated their lives to God’s work and saving unborn babies,” according to the source. But instead of continuing their father’s work, they are alleged to be helping Quinn’s campaign for Mayor. In response, a grassroots movement known as “Salve Regina” is sweeping across NYC. “Salve Regina” is an attempt to educate Christian parishioners, Evangelicals, and Jewish Synagogues of Quinn’s agenda to suppress religious free speech by raising awareness of her attacks on pregnancy centers and pro-life advocates. When their message becomes salient, she could lose all support from church going democrats particulary African-Americans, Hispanics, Jews and conservative whites in the outer boroughs, even though these demographics were already said to prefer one or more of her opponents. Are those Republicans that are secretly helping Quinn now at a state of political war with the defenders of life? Will there be a backlash against the turncoats? Will these sell outs try to put political hits on the pro-lifers in order to gain favor with Christine Quinn?